← Review of Adrian Pilkington, Poetic Effects. A relevance theory perpective. The following is a pre-proof version of a review that appeared as: Forceville, Charles (2002). 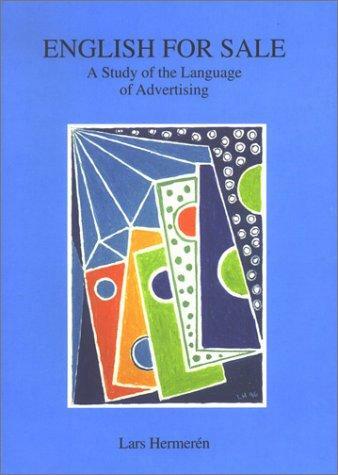 Review of Lars Hermerén English for Sale: A Study of the Language of Advertising (Lund UP 2001). Journal of Pragmatics 34:3, 341-44. If you want to quote from it, please check the final, published version. This entry was posted in Book reviews.. Bookmark the permalink.